It was a perfect day for a car show and there was something for everyone to enjoy. 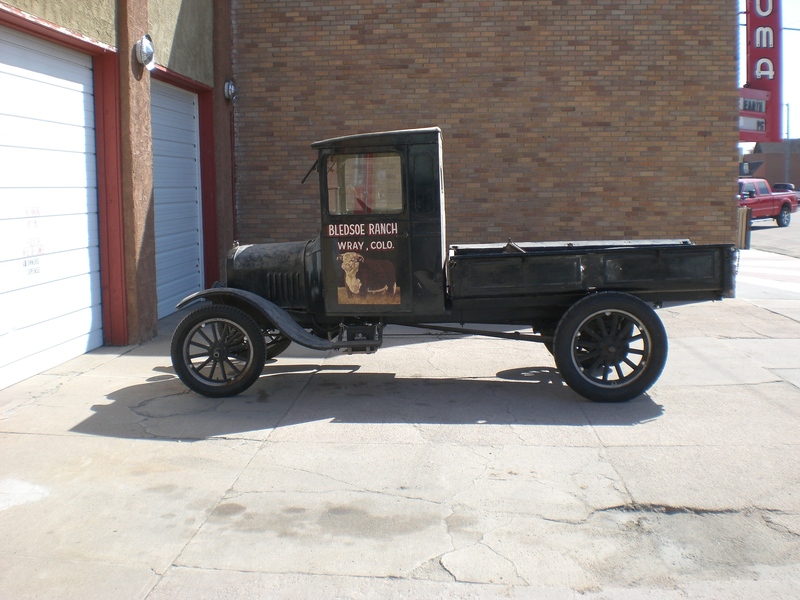 This truck has been a guest at the shop this past winter, and got tended to as my regular work schedule permitted.. It’s a 1923 Model TT Ford closed cab truck. Passenger vehicles were designated as a T, but trucks were identified as the TT’s. 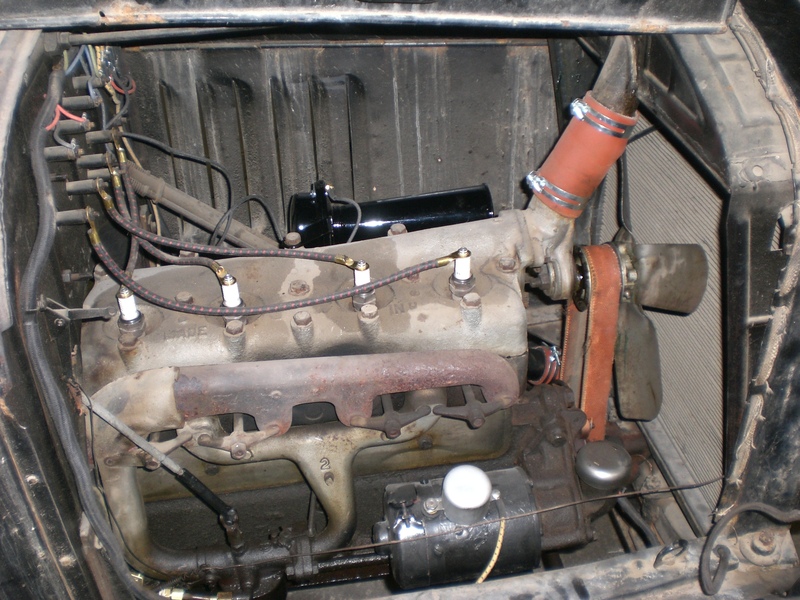 Powertrains were the same in all of them- L-head 4 cylinders that produced about 20 horsepower coupled to an innovative planetary 2 speed transmission. A heavy duty worm drive differential in the TT models along with heavy duty rear springs, axles, larger rear wheels and tires made it capable of heavy loads. I was told that it hadn’t run in 40 years or so. The tires had dry rotted, and mice had been living in it. The good news was that it had been inside all of those years. Most of the fabric insulation on the wiring was gone due to mice and the ravages of time, so all of the wiring was replaced, and rebuilt ignition coils were installed. With a new battery and fresh gas in the tank, the old TT came to life. It even ran on the magneto after starting! 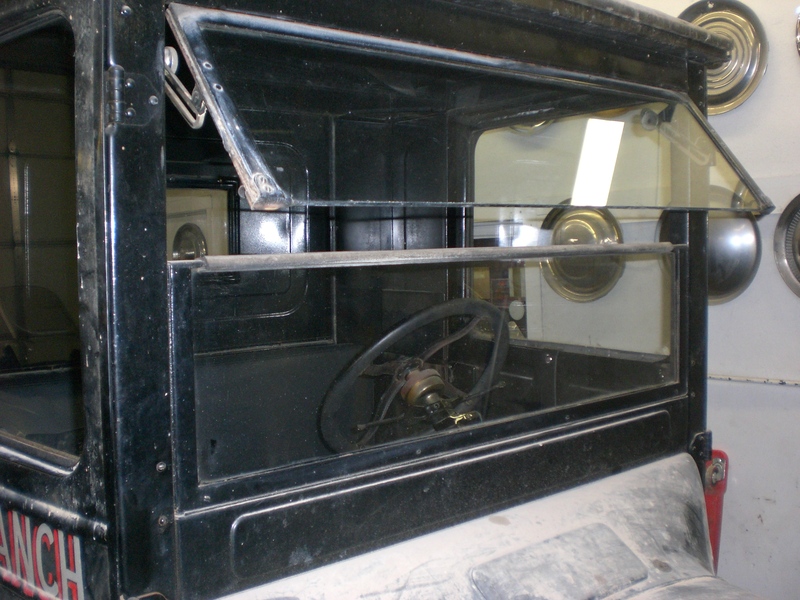 The earliest Model T’s had no generator or electric starter. They used a “hotshot” battery that had to be recharged periodically, and cranked by hand. Later production added a generator to recharge the battery. Eventually an electric starter was optional and became standard equipment by the end of production. This truck has a generator, but no electric starter, so it has to be cranked by hand. The ignition switch is turned to the left, which allows the battery to energize the coils so it will start at the low rpm cranking speeds. After it starts the switch is turned to the right- past the off position- to connect the magneto (which is built into the flywheel) to power the coils. Spark advance and throttle are controlled by levers on the steering column, and fuel mixture is controlled by a turning a rod on the passenger side of the dash that’s connected to the carburetor. Driving an old Ford required lots of driver input and active participation! Then there was the matter of getting it to move. 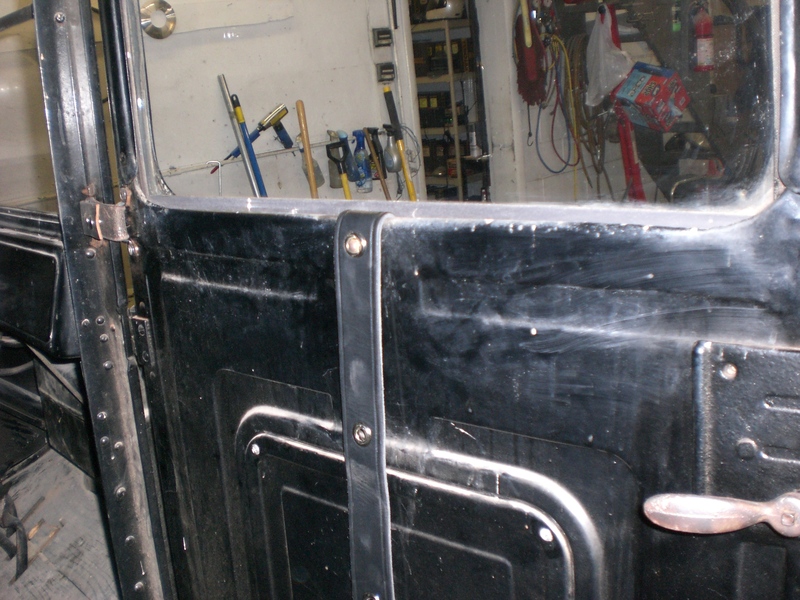 A lever coming up through the floor between your left leg and the door was the parking brake/neutral/high gear control. Three foot pedals were L-R: low gear, reverse, and brake. It seems a little daunting at first, but with a little instruction and practice, it becomes second nature. Other than vacuuming and cleaning the glass, I tried to leave as much “patina” on it as possible. (funny how we used to call it dirt not too long ago). The old truck wears it well, and with all of its’ warts and battle scars, it looks just right with it. It’s been a busy late winter and spring here at the shop. During that time I’ve added a couple of vehicles to the ever-growing fleet. This one is a 1930 Ford Model A Deluxe Coupe. I’d been looking for a Model A for some time, and heard about this one through a friend of a friend. It had been restored sometime during the 1970s by the father of the seller. She inherited it, but was unable to drive it, so it sat in her garage for the last 10 years. After hauling it home I performed a complete service and tune on it. Nothing sounds as wonderful as an old 4 banger Ford idling. Thunka, Thunka, Thunka! After the Model T’s were discontinued in 1927, the American public anxiously awaited the unveiling of the “New Ford” during the period that the factories were tooling up for Model A production. 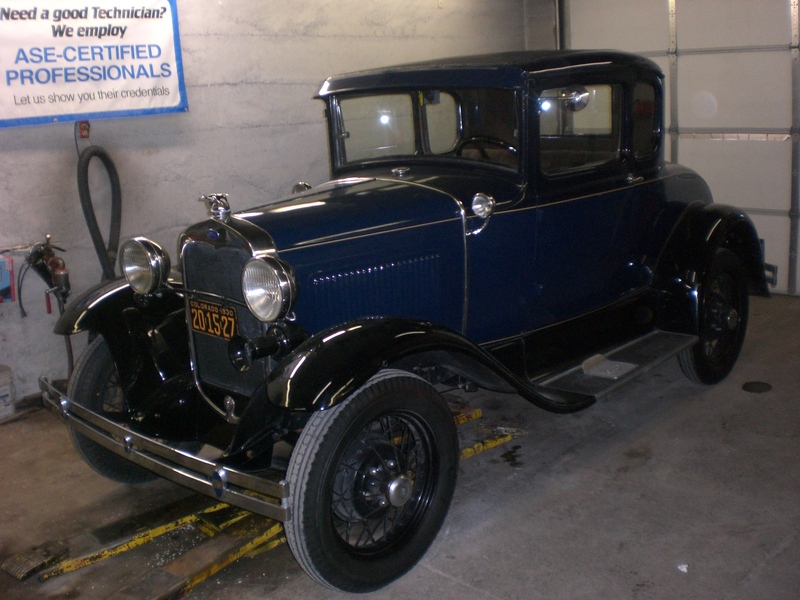 Model A Fords were manufactured from 1928 through 1931. 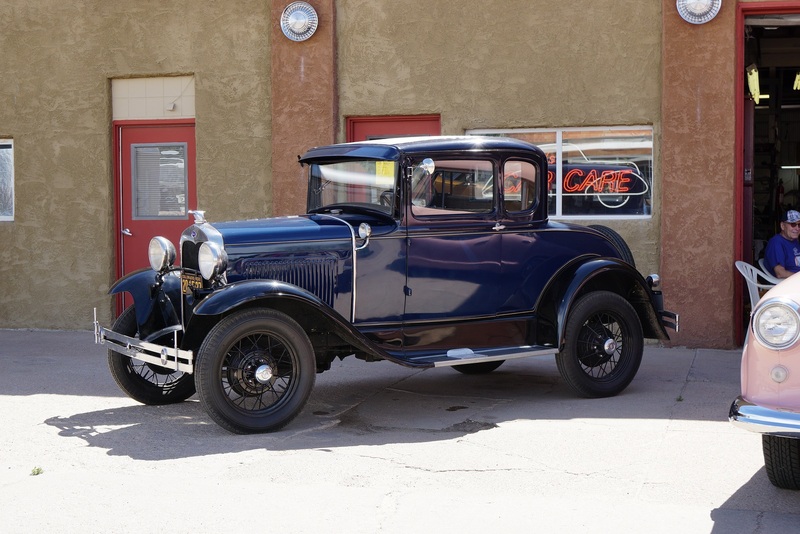 Although all Model A’s were virtually identical mechanically, the styling was updated beginning with the 1930 model year. 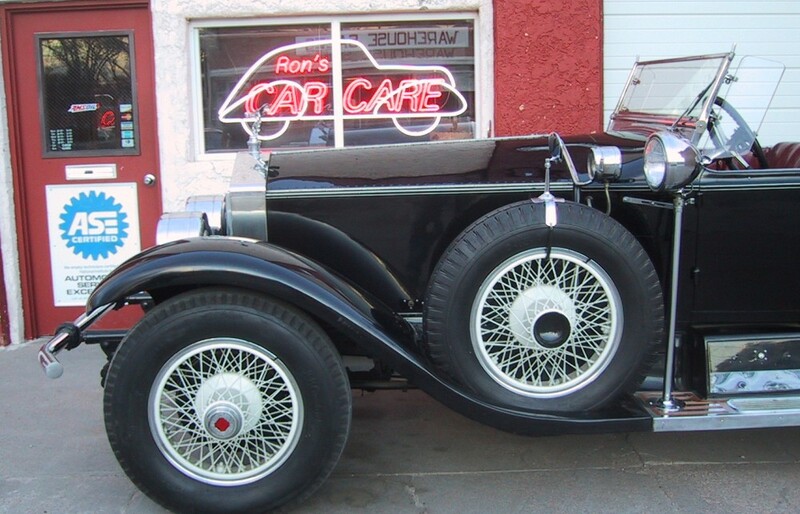 It differed from the 1928-29 cars with the most recognizable features being the radiator, which became more upright and rectangular and the wheel size being changed from 21″ to 19″. 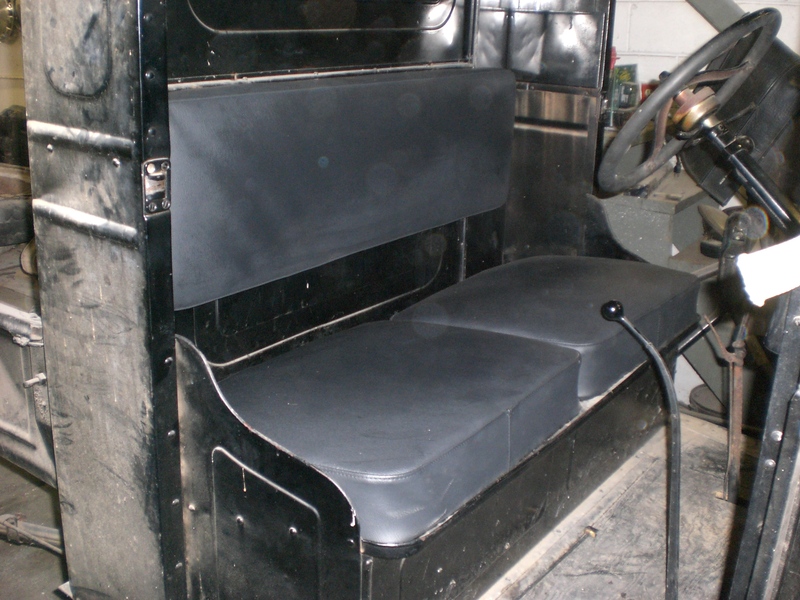 It was thought that the 1930-31 cars looked more modern. 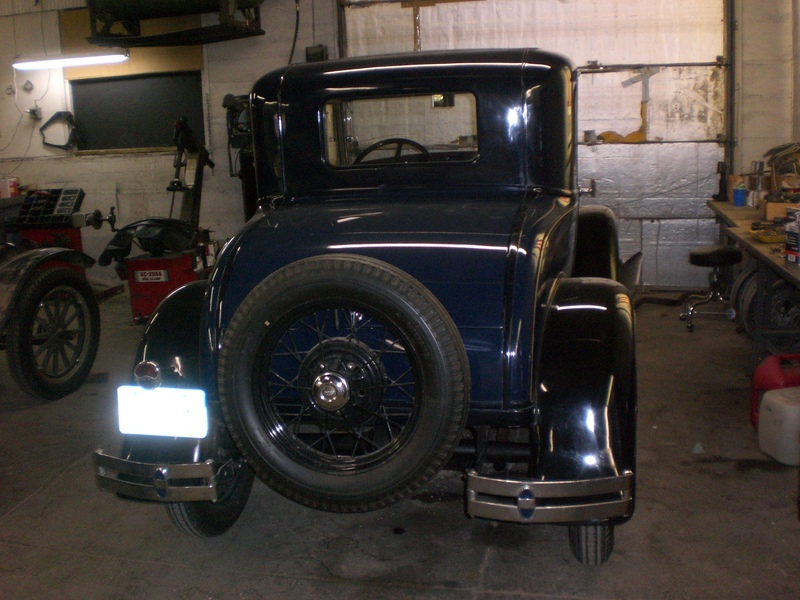 I especially like this particular car because it has the stock trunk instead of a rumble seat. Hopefully this summer we’ll manage to take a few weekend trips in this great old car! Living in an area of the Great Plains that was part of the Dust Bowl, stories about that era have always fascinated me. Listening to my parents accounts of growing up on the farm/ranch during those times still amazes me how tough and determined people were to survive against all odds. I think that John Steinbeck portrayed their lives and desperation very accurately in his novel “The Grapes of Wrath”. The Gilmore museum has been on my “must do” list, and now with this exhibit, a road trip there is even more of a priority. HICKORY CORNERS, Mich. – The images from the Great Depression and the Dust Bowl of the 1930s are haunting – long lines at soup kitchens, farms buried by dirt and gaunt faces peering out from dilapidated autos piled high with their only possessions. While desperate families were migrating west in hopes of finding work and leaving the Depression and Dust Bowl behind, automotive designers were still creating luxury cars for the ultra-wealthy. The Gilmore Car Museum, near Kalamazoo, Mich., takes you beyond filmmaker Ken Burns’ recent PBS documentary, The Dust Bowl, with a new and revealing exhibit of the autos from the era. An extraordinary Duesenberg custom-built for Hollywood’s elite is displayed right next to an ancient Ford Model T covered with a family’s only belongings. “Historically, it’s important that we show these automobiles in a setting that reflects the social and economic context of the time period,” says Michael Spezia, executive director of the museum. The Duesenberg, one of 11 luxury cars in the exhibit, was introduced at the New York Auto Salon in 1929 and set a new standard for design and power. Its price tag of nearly $20,000 was the equivalent of two typical middle-class homes and two-dozen Model A Fords. 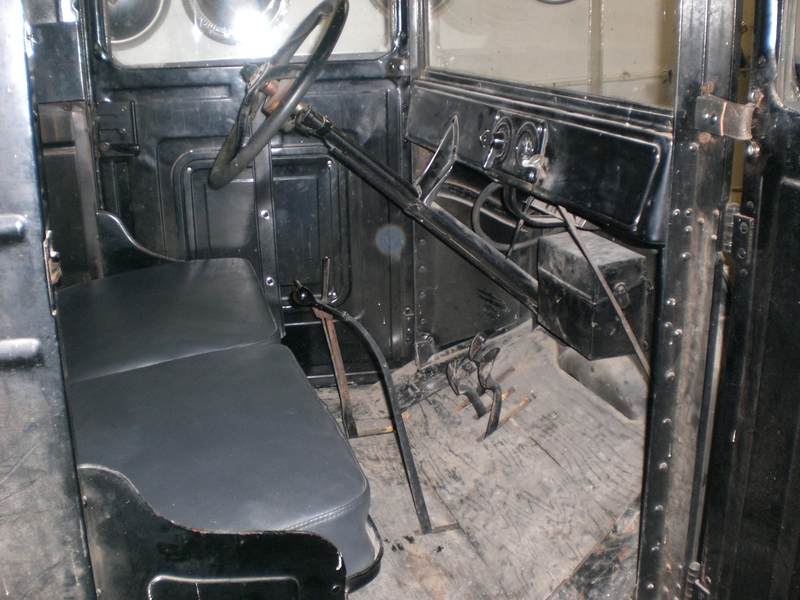 In stunning contrast, the nearby 1927 Model T Ford cost $485 new. As an example of what numerous Americans experienced, it is well-worn and covered with sand. 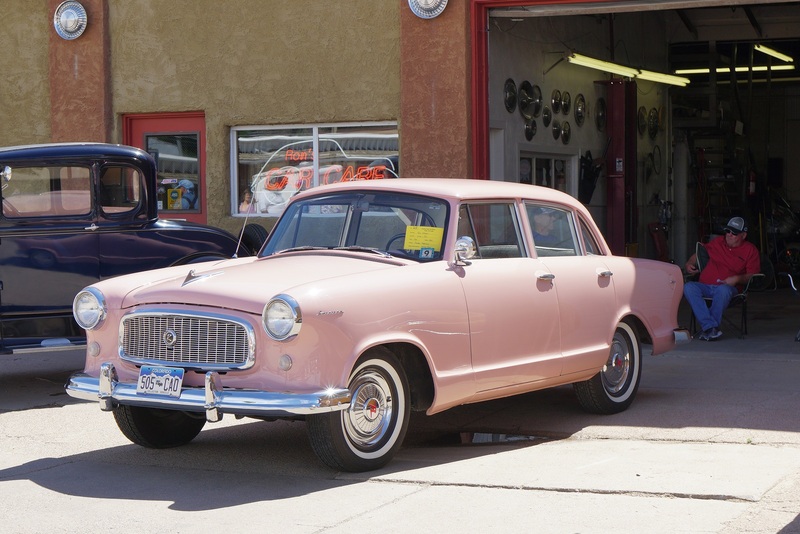 Bedding and furniture as well as pots and pans are tied to the fenders and running boards – all that the family could carry on their westward migration. It is displayed with a backdrop of the enormous dust cloud, which locals called the “Black Blizzard,” enveloping the entire community of Rollo, Kan., in November 1935. Several over-sized, iconic images from the time period – many taken by the Farm Security Administration in an effort to draw attention to the devastation of America’s farms and those who worked the land – are hung throughout the display. The decade’s apparent contradiction is also found in another image which is of a dapper looking fellow, complete with pinstriped suit and spats, posing next to his very expensive 1930 front-wheel drive L-29 Cord. When the luxury models in this exhibit – from Rolls-Royce, Packard, Auburn, Lincoln, Cord, Cadillac and, of course Duesenberg – were introduced, unemployment was only at 3%. These cars, however, were still being built when unemployment reached a peak of over 25%. The decade of the 1930s is remembered for the poverty of the Great Depression, the Dust storms that decimated the farms of the Midwest and the greatest American migration of the 20th Century that resulted. Ironically, it was during this time that the auto industry built some of the most magnificent, sophisticated and expensive cars in history. 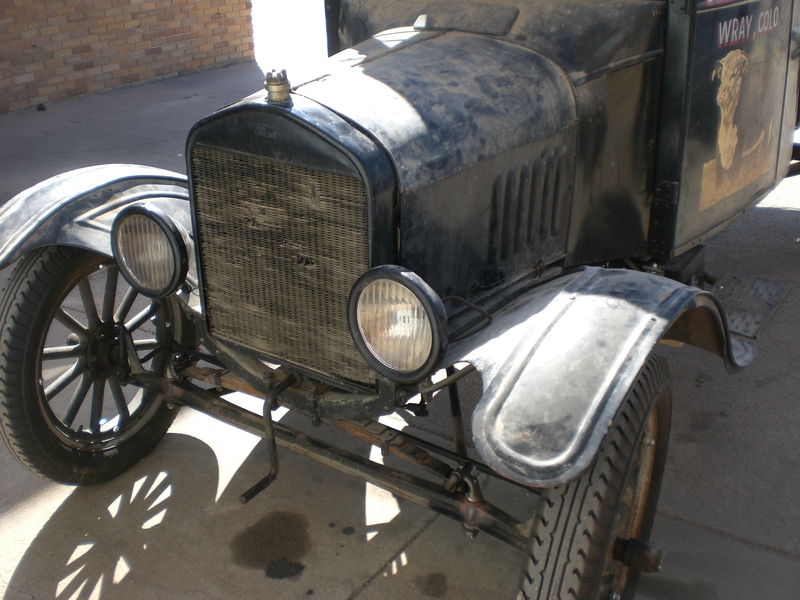 Much of the migration west was made possible by the automobiles of the 1920s and earlier, particularly the ubiquitous Model T Ford, which was rugged and reliable though inexpensive. These were the vehicles of choice for many “drought refugees” and became not only their means of travel but often their only place of shelter. The hardships felt during this time didn’t discriminate. Many of the automakers, including Auburn, Cord and Duesenberg, were unable to weather the decade-long Depression. 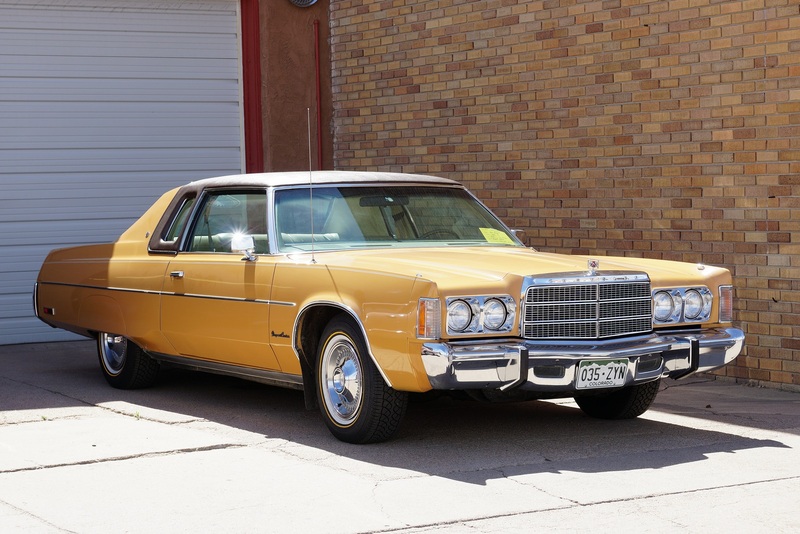 Some of the once affluent sold their luxury cars for pennies on the dollar. Many hard working families lost everything and searched for work wherever they could find it. Throughout it all, the human spirit survived and the nation would go on to prosper in the decades to follow. The Gilmore Car Museum is now open year-round and features many all-new exhibits including the 1953 General Motors Futurliner, American Muscle Cars and the return of the fabulous Hostetler Hudson Collection. Visit GilmoreCarMuseum.org for a glimpse of the museum’s collection and to plan your visit.